Boozy, fruity and perfectly portable. Start by preparing a large wedge of peeled watermelon and cut it into 1-inch-thick slabs, placing them into a pyrex baking dish. Mix up a sangria base with your preferred proportions of brandy and red wine—white wine also works—which will eventually be infused into the melon. “Here comes the boozy part—the better part!” says Justin, pouring the wine over the fruit. He lets them chill out in the fridge for around an hour to really soak up the booze—the slices will be about half submerged, so make sure to flip over your watermelon slices halfway through the marinating period. Once they’re liquored up, it’s time to turn them into popsicles. 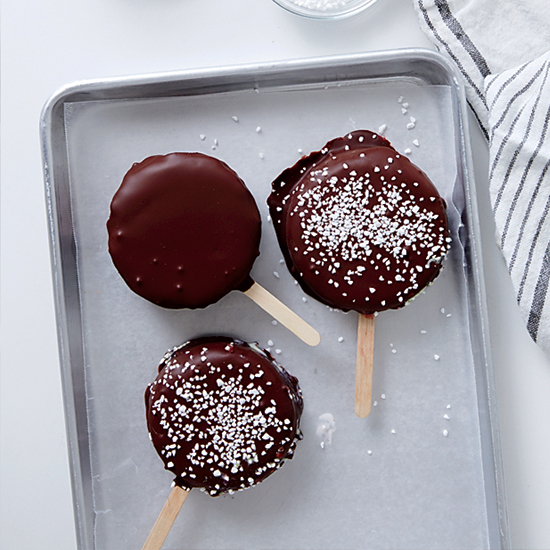 Insert a wooden popsicle stick into the bottom of the slice and transfer to a parchment-paper-lined baking sheet, popping the fruit slices into the freezer for a few hours until they firm up. “Make sure to save the extra sangria for sipping,” says Justin, as if we weren’t already thinking that. 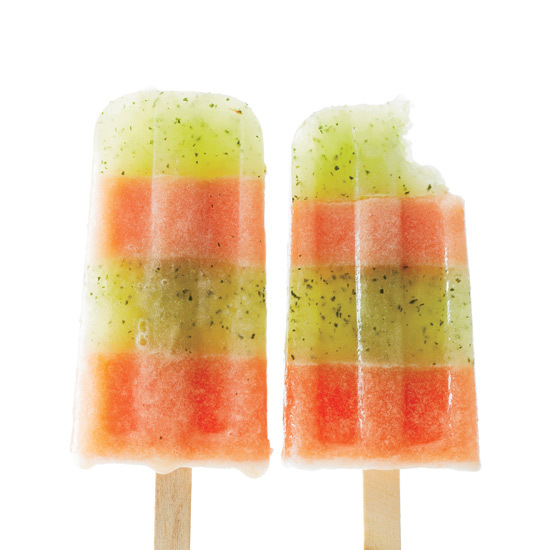 Add these chilly treats to your Memorial Day lineup, pair them with other watermelon drinks, or freeze up a whole menu of popsicles for your next outdoor bash.